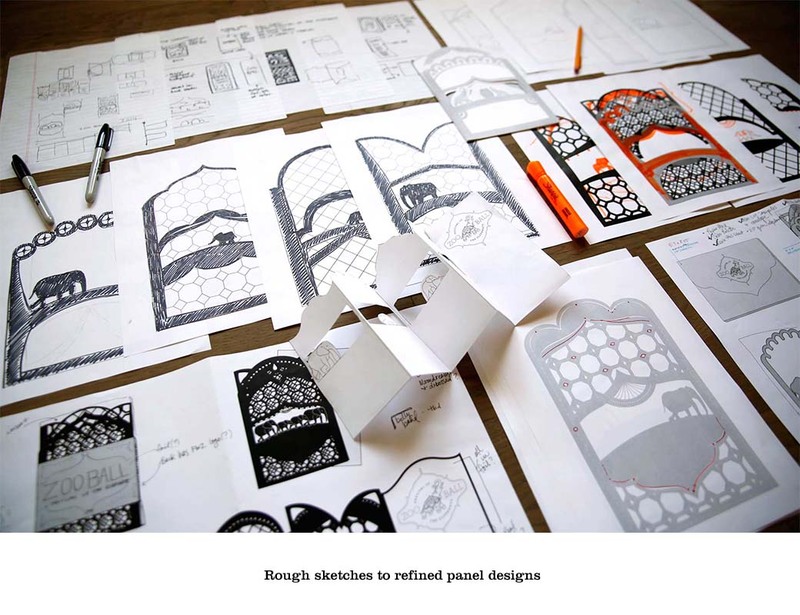 Process: Zoo Ball 2014 - Schaefer Advertising Co. The Fort Worth Zoo’s largest annual fundraiser, Zoo Ball, attracts some of the biggest names in Fort Worth to support the Zoo’s local and international wildlife conservation and education efforts. 2015 will see the event’s 30th anniversary, and past invitations have included everything from View-Masters with custom slides to flocked, psychedelic blacklight posters. 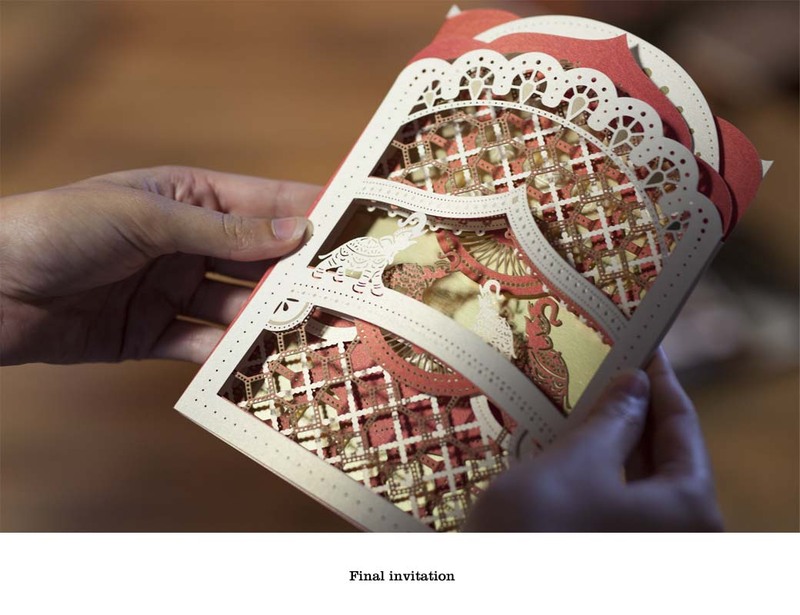 For last year’s invitation, we wanted something new, exciting and different. 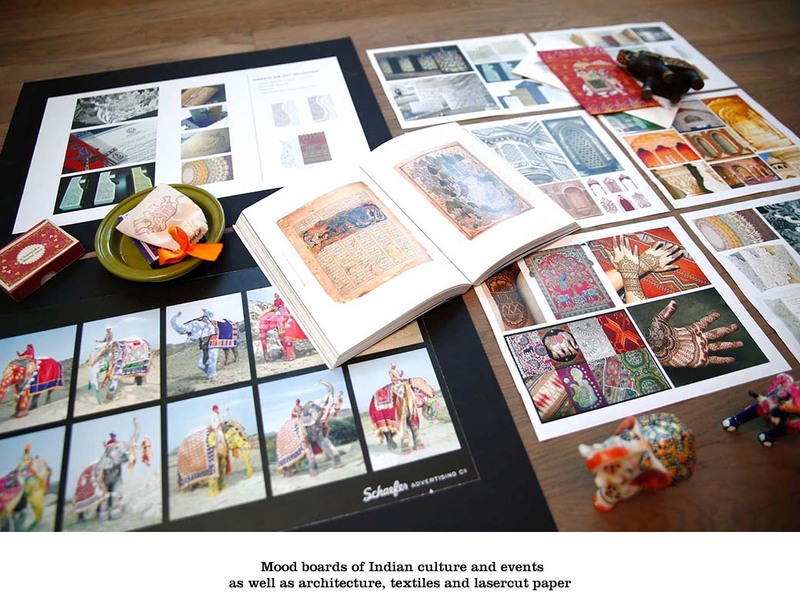 We started by researching Indian culture and events as well as typography, textiles and more. 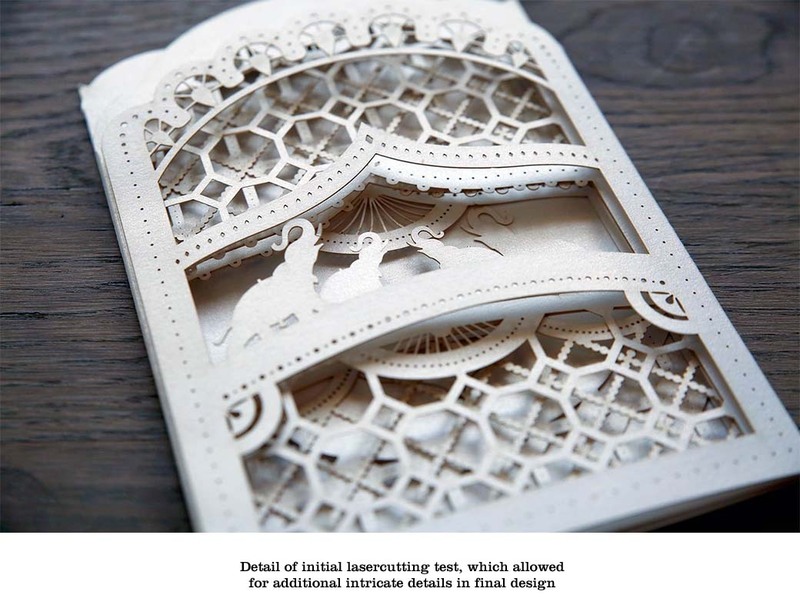 With reams of printouts taped up on the walls of our office for inspiration, we were most intrigued by some of the intricately die-cut wedding invitations we found. At Schaefer, we have a reputation for punishing ourselves – often saying, “Hey, wouldn’t it be cool if…” then scrambling to figure out how to make it happen within the given timeline and budget. For this project, we did it again. 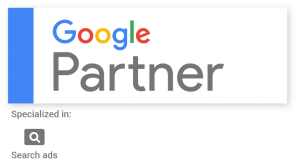 Our complex design required us to partner with many more vendors than we typically do, but the end result was worth it. 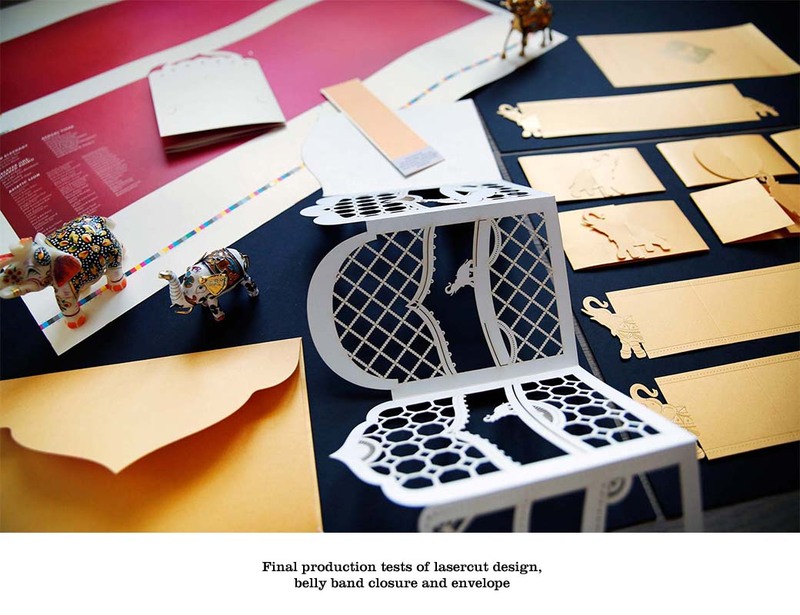 From paper and printing to foil stamping and laser cutting, each step of the process required multiple press checks and test samples, each of which had to be okayed by the Zoo Ball committee. Thankfully, they loved it, and it was a big hit with attendees. 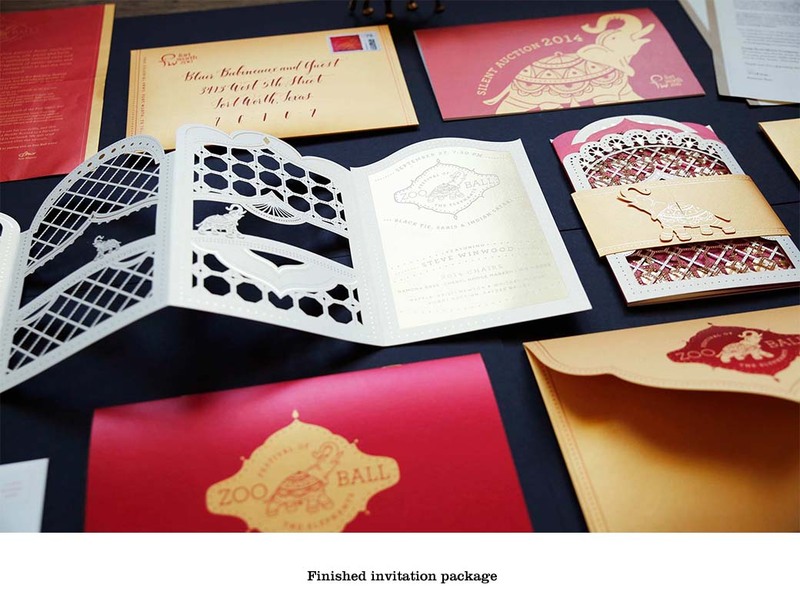 The Zoo even had event decorations produced to match the invitation, including ten-foot panels that were die-cut using the same illustration files. According to the Zoo, this invitation was their new high-water mark. That’s quite a compliment, but as we get ready to reveal this year’s Zoo Ball invitation, it’s also a slightly intimidating bar that we’ve set for ourselves. Thankfully, we like the pressure. 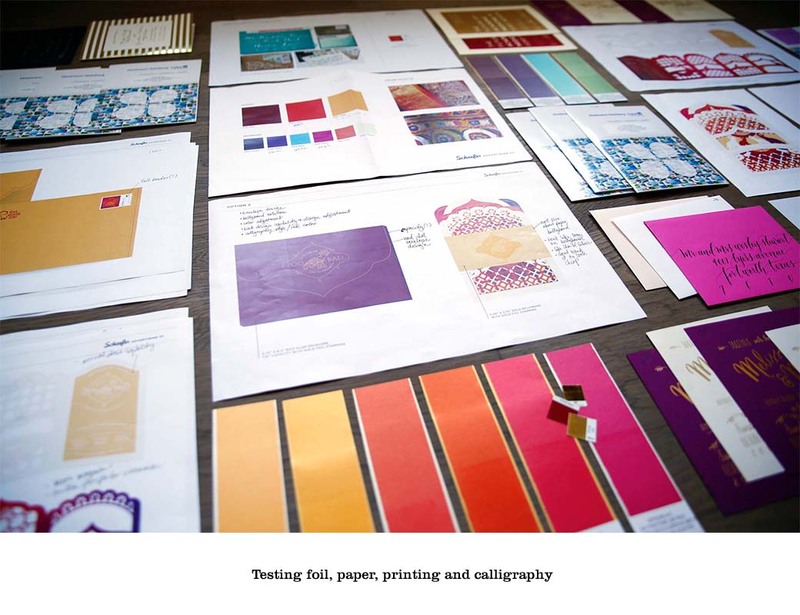 We have received several awards for the piece, including Best of Show for the 2015 Fort Worth ADDY awards, a national Gold Addy Award and entry into the Graphis Design Annual.